← Music for a Cause is back for its second year! JJ, also known as Falling Feathers, is a pop-rock artist from Singapore. Recently, he released his debut single, Perfect alongside a music video. What a perfect way to debut his single as it got him to the #5 spot on the iTunes Pop Charts and #6 on the Spotify Singapore Viral 50 Charts! 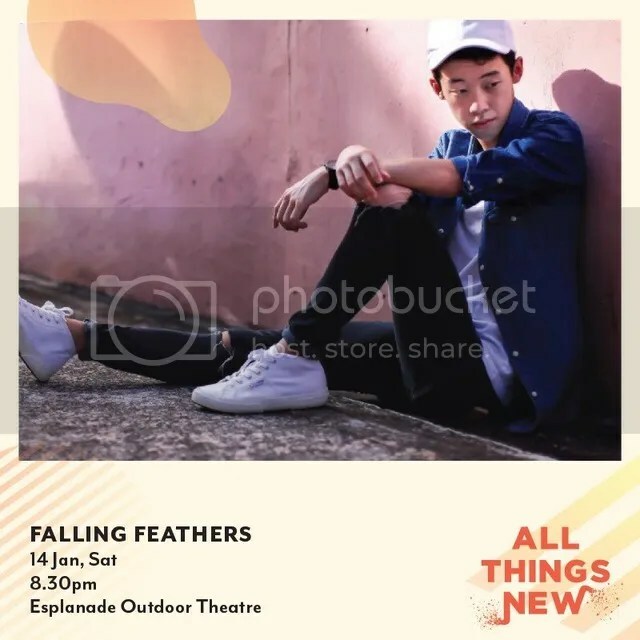 Local music fans might find him familiar as he, alongside his band, JJ and the Paperplanes, have played at Esplanade Waterfront and been featured in local media such as Channel 5, Channel News Asia, radio stations and The Strait Times. Now, going solo, he hopes that his music will be able to appeal to the masses. “We all experience similar emotions as human beings. I want my music to be something majority of people can listen to and go: Oh, I have felt that way before!” shared Ong. If you enjoy listening to Perfect, head on down to Esplanade Waterfront’s stage on Saturday, January 14 at 8 pm as he serenades you with Perfect and unreleased tracks from his upcoming EP. Keep updated on Falling Feathers by following him on his social medias; Facebook Page, Instagram and Twitter.